Thomas Buist is a man who knows Charleston, South Carolina. He grew up in the city and left during high school to attend an all-boys boarding school, Episcopal High School, in Alexandria, Virginia, which was, as he says, like “stepping on the gas pedal” for him. Now he had friends from all over the country, and this gave him the opportunity to expand his horizons and travel during school breaks, whether to visit a friend’s mountain or beach house, or go as a group to someone’s hometown. This fueled his love for meeting new people, networking, and having new experiences, all of which would continue throughout his life. Thomas ended up at the University of South Carolina for college with a little help from his friends, too. He was in the process of applying to other places, but others kept talking with him about the great business school the university offered (plus, it was in his home state!) and the chance to stay close to so many great people he had met was something he couldn’t pass up. Thomas studied business with an emphasis in real estate, and graduated in four years. During his time there, he met Jeanne MacNaughton, who was from Columbia, South Carolina. He knew from the moment he saw her she would be the love of his life, and the two were married after graduation and moved to Charleston. Back in Charleston, Thomas began his career. 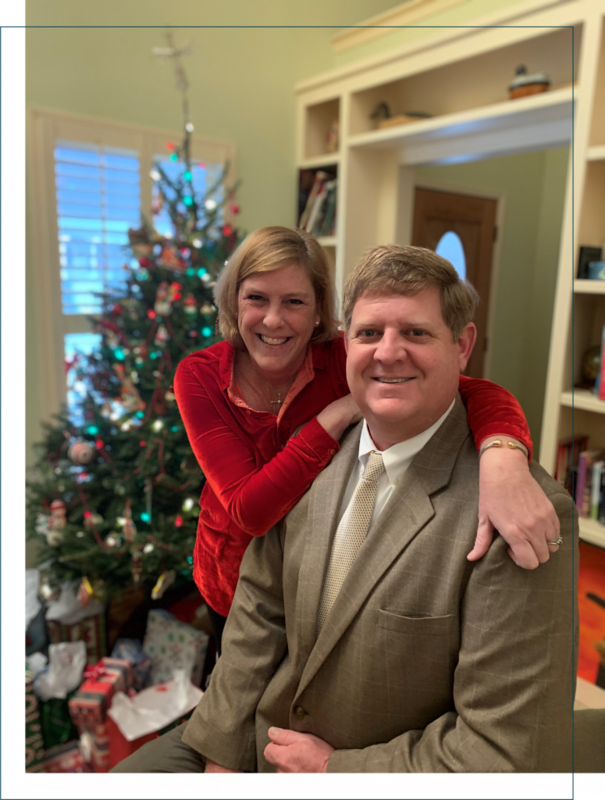 On the weekends, he stayed with Jeanne’s family in Columbia while working on becoming a licensed appraiser at the advice of Frank Brumley, a long-time fixture in the Charleston real estate and development world and a close family friend. During the weekdays, Thomas took a job with William M. Bird Paint Company as a salesman. He didn’t have to worry about getting his real estate license during this time, due to having an emphasis in real estate in school and taking the broker exam quickly right after graduating. 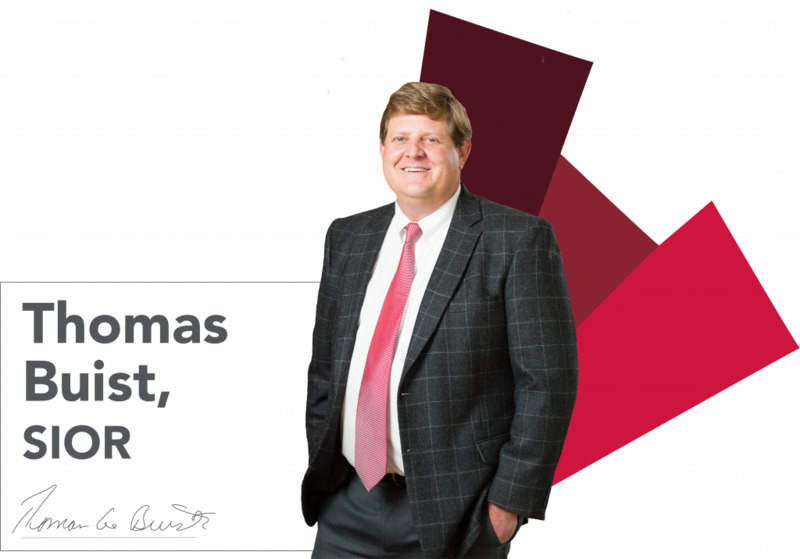 After getting his appraisal license, Thomas went to work for Atlantic International in North Charleston as a licensed real estate appraiser and broker, the first big change in his career as he began getting more heavily involved in the commercial real estate world. Atlantic, which would later become Coldwell Banker, seemed so far away from what Thomas knew and loved in downtown Charleston. After several years with the company, and many months networking with other real estate professionals, Thomas left and joined Chris Fraser and Miles Barkley’s group, the Barkley Fraser Company, also due to another long-time relationship his own family had with Chris and the Barkleys. At the Barkley Fraser Company, Thomas focused solely on brokerage, performing well and eventually being named partner during his 15 years there. After the company was sold, Thomas briefly spent time at NAI, before making a decision to join Lee & Associates Charleston, which Thomas felt not only had a great group of owners and brokers but had the national backing that is important, especially in industrial brokerage (which he specializes in among other brokerage). Thomas had always liked the industrial market the most, and his knowledge about everything from Charleston’s geography to the changing product supply chains and the growth of Charleston ports was continuing to expand, along with the opportunities in the market in his hometown. A goal of his is, and has been for many years, to help industrial brokers, clients, and distributors set up on the East Coast. He worked closely with Ross Perot, Jr., a national developer, and his team, Hillwood. Together they studied the way industrial trade was changing—instead of the use of a ‘land bridge’ from the West Coast to the East Coast delivering goods from China and other Asian markets, freight was going to begin utilizing the Panama Canal more and therefore docking in major ports along the East Coast, such as Charleston. Perot was a little ahead of his time in terms of developing and selling this idea, along with what is now the Charleston Trade Center, but as an expert in the market Thomas is now seeing this concept (which he spent four years working on) come to fruition and is happy to have that experience now. Another important part of Thomas’ success as an industrial broker has been becoming an SIOR in 2008, which gave him access to a global network that allows him to work with people not just on the West Coast of the U.S. but even from major global economic countries such as China. He has seen the Charleston market grow and change incredibly—after all, he has been in the city his entire life. In addition to helping companies, landlords, and developers grow, Thomas has been a hunting, fishing, and camping enthusiast his entire life. Outdoor sports have been a source of not just good times, but networking opportunities, from hunting on over 30 different camps and plantations to spending over 16 years in the Governor’s Cup Marlin Tournament, creating bonds while aboard a fishing boat with groups of people who were well-connected in the Charleston community. Thomas and his wife Jeanne also raised two children—Ann and Lois—and have lived in Mount Pleasant for over 20 years, and his parents and three sisters still live in the Lowcountry as well. He is happy to have served on the Trident Technical Foundation board, helping raise money to establish companies in Charleston such as Boeing, which have changed the local economy dramatically. He also loves cooking and is a lifelong lover of surf fishing out on the barrier islands, one of his favorite pastimes. For Thomas, real estate is his passion because the inventory is all over the place, not hidden away in some warehouse. He always has and always will love getting out and about, meeting people and visiting new sites, and real estate gives him the opportunity to continue growing his network in and outside of Charleston. You won’t find Thomas sitting at his desk all day, but more likely out shaking hands and creating new deals. 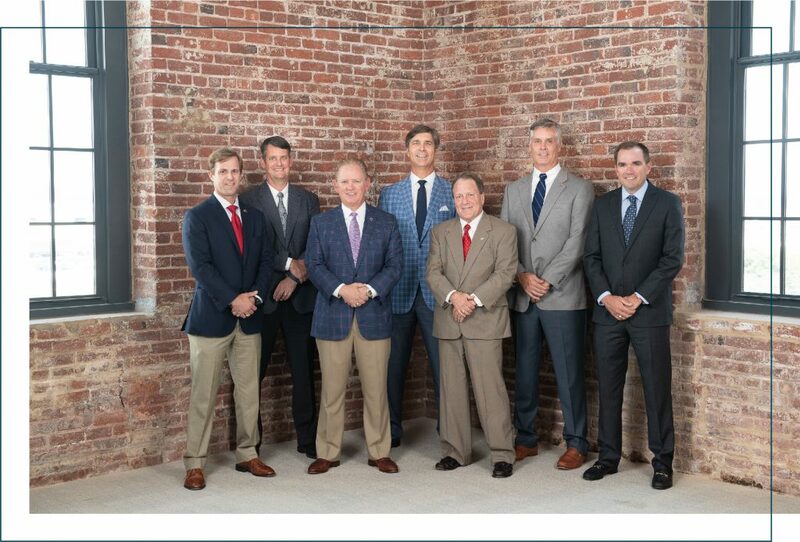 There is a lot to Lee & Associates Charleston that helps keep the company going—our hardworking, organized Broker Services Coordinators, our creative Marketing team, our hardworking Brokerage team, and the incredibly patient Property Management team. Supporting everyone is Lizzie Cook, Operations Manager and unofficial backbone of Lee Charleston. Lizzie had an unexpected journey to real estate—but her multi-faceted background and level head makes her perfect for the role. Lizzie was born in Greenville, South Carolina, and grew up in the small town of Fountain Inn with her two older sisters and three stepsisters. She rode horses competitively until softball, and eventually cheerleading in high school, became more of a priority. As a teenager, she was already excelling in various areas of her life—she made varsity cheer her freshman year and served on the student council throughout all four years of high school, culminating in her election of student body president her senior year. Lizzie met other South Carolina natives—like Cameron Yost—who, surprisingly, would end up popping up later in her career at Lee—at this time. After high school, Lizzie studied Visual Communications at the University of South Carolina, which is a degree offered through the school of journalism that focuses on visual mediums and how to use them effectively in industries such as advertising, PR, media, and more. She continued her streak of participating and leading her peers by working for The Daily Gamecock, first as a page designer and later on as the Design Director for the university’s publication. This spurred an interest in working in publishing, but she quickly realized after graduating a semester early that the newspaper industry maybe wasn’t as thriving as she wanted for a career. She knew one thing: it was time for a new beginning somewhere and that place was Charleston. Shortly after her move to Charleston, Lizzie’s brother-in-law introduced her to his friend, Will, who happened to have an open room in his house available for rent, conveniently located near Lizzie’s restaurant job at the time. This job was soon to change, however. Will, now her roommate, told her about Anchor Commercial, his brother-in-law, Milton Thomas’, company. They were looking for a Marketing/Broker Assistant. This person would serve as Milton’s right hand, so he could continue making deals as the company’s portfolio grew. Lizzie didn’t know much about the real estate industry, but easy-going and flexible with change, she accepted the position. At this time, Anchor Commercial was small. Lizzie remembers about eight agents, two property managers, one property management assistant, one bookkeeper, and one operations manager. She spent two years learning the ins and outs of the industry, until she did a complete 180 in her career—and life!—and moved to Dallas, Texas, for a Pharmaceutical Sales job. This job took Lizzie from her role in Charleston working with a tight-knit team to a very large corporate firm and a new position covering an expansive territory. She was travelling Monday through Thursday, and although she made great friends in Texas, she was hardly around to get to know her new city and began to realize she needed to live closer to her family. She optimistically moved back to Charleston with no job, but a room at a friend’s place and a future full of opportunity. Lizzie put more of her organizational and level-headedness to test at her next role as a Client Services Representative for Hamby Catering & Events, a staple in the Charleston events scene for decades and a high-pressure role that had her coordinating with brides, clients, planners, and more on a daily basis. While she was working at Hamby, Bob, Milton, and Reid learned that Lizzie moved back to Charleston. They took her to lunch and asked her to come back to what was now Lee & Associates Charleston, previously Anchor Commercial. The company was very rapidly growing, and they needed someone to facilitate this growth, manage daily business activity, and handle HR tasks. Most importantly, they wanted Lizzie in this role. Soon after she joined the team, Lizzie facilitated the move from the old Daniel Island office to the current office, downtown on Morrison Drive. This was a key role for Lizzie to play, as she could ensure everything ran smoothly while the brokers could continue to focus on their agent work. 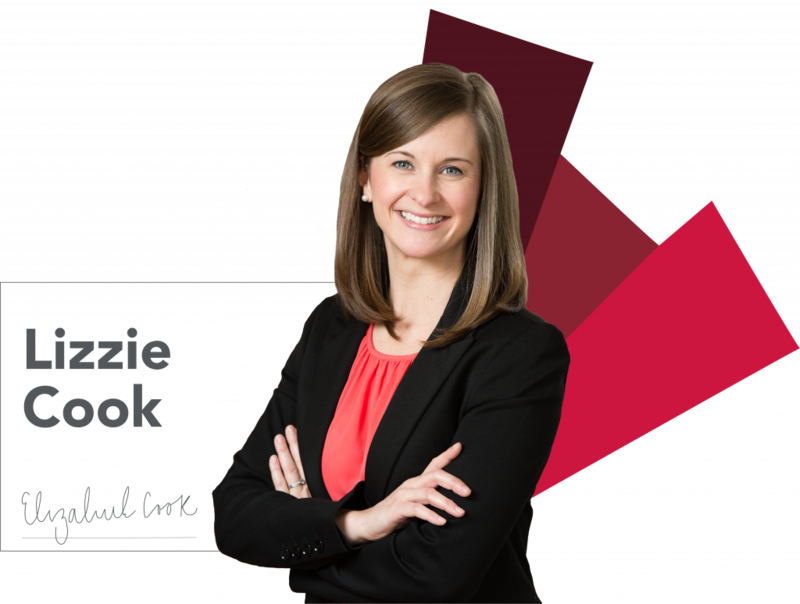 While Lizzie’s job has evolved over the last five years, this very much remains at the core of her role: she works hard running Lee Charleston so that the brokers, coordinators, and marketing team can stay on task and focused on their roles in the business. She is very much involved in all Human Relations duties as the company’s growth sets new expectations, and touches on everything from budgets to software to commission management to venture capital. Since the arrival of Dave Howard as President, Lizzie has spent a great deal of time with him, improving Lee Charleston’s organizational effectiveness and making alterations to the operations with an outside, fresh perspective. Another major event occurred quickly after Lizzie moved back to Charleston from Dallas, outside of her career. One night at Home Team Barbeque after a kickball game with friends, she was introduced to Bryson Cook, and two days later was hanging out with him on his boat. They became engaged in 2014, and married in 2015. She also returned to school in 2014 to get her master’s degree in business, and spent her nights after work attending classes at The Citadel with other like-minded professionals until her graduation two and a half years later. There’s a good chance, unless you’re from the neighboring town of Silver, like Ryan Welch’s wife, Amanda, that you’ve never heard of Turbeville, South Carolina. Ryan was born and raised in this small town, where there was (and still is) one stoplight, one post office, one grocery store, and (as he likes to joke) 12 cops ready to pull you over if you aren’t abiding by the 35 mile-per-hour speed limit across town. Today, it is the last dry town in the state of South Carolina. Despite its quirks, Ryan is thankful for his upbringing in Turbeville—his experiences there instilled the hard work and respect he has for others today. Growing up on a farm with his parents and older brother, starting at age 12 Ryan was expected to work during the summers and on weekends. At that age, waking up at the crack of dawn to cut wheat and perform other tasks was a big pain for him, but now Ryan looks back with gratitude. It helped reinforce what his parents were always telling him—while they weren’t strict, moral values such as respecting others, working hard, and taking care of others were always emphasized. Working in the fields at a young age helped Ryan understand these things better. Besides, it wasn’t all bad. Ryan has always loved being outdoors—from playing sports (he played football, baseball, basketball, and ran track) to fishing and hunting (he says there is nowhere in the world he is happier than when he is out calling ducks), he has always found an excuse to get outside. Baseball, in fact, became a very big force in Ryan’s life. Playing at Carolina Academy in high school, his team was runner-up for state champions his junior year and his senior year they won state and he was named the SCISA 2A Statewide Baseball Player of the Year. He continued to play ball in college for a year, until he was injured. However, the biggest influence baseball had in his life was not on the field, but actually off, in the dugout. At the age of 11, Ryan and friends were waiting in the dugout, watching the older boys practice and waiting for their own practice to start. To pass the time, they took turns jumping up to hang onto the rafters, moving further back each round to see how far they could reach. The first couple of jumps went fine, but another time around Ryan didn’t manage to grip the rafter correctly and his whole body fell, first hitting the steel bench and then crashing onto the concrete floor. He was revived in the ambulance on the way to the hospital, where he received care from a man named Dr. Nasso. Ryan spent three days in ICU, and the clot that had developed in his brain, miraculously, dissolved. 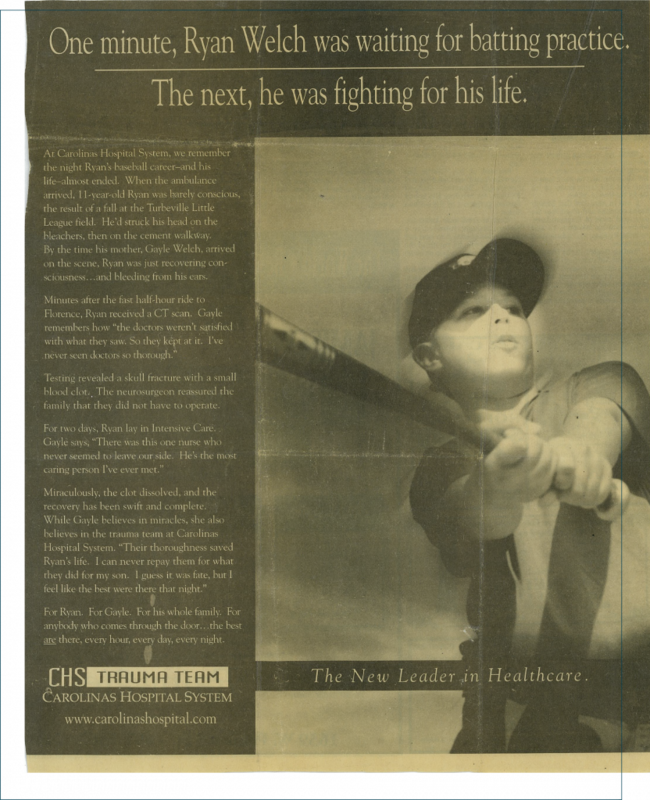 His story would be featured in an ad for Carolinas Hospital System for years to come. This would change Ryan’s life—from then on, he wanted to be a neurosurgeon, so he could do for others what Nasso had done for him. After getting injured playing baseball in college, Ryan changed his trajectory to focus more on studies and transferred to the University of South Carolina to study biology, but he would have another change of direction that following summer. He was taking classes (“I always have to stay busy, or I get into trouble!”) and living with a roommate who brought him to the NAI Avant office to interview to be a runner for the summer—an activity to take up time when he wasn’t in class. Ryan got the job almost immediately. Being a runner allowed Ryan to meet Paul Hartley, who took him under his wing. By the end of the summer, Ryan had applied to business school and was enrolled to double major in both business and biology, while still working for NAI throughout his college career. He moved into Property Management with the company immediately after graduating, and signed a contract saying he would stay with NAI for a year (if the year didn’t work out, Ryan would return to neurosurgery and follow that path back to medical school). After this time passed, he not only found himself the Regional Director of Property Management at NAI, but he had made the move to Charleston, SC, while working on transitioning to brokerage. It was in Charleston and working in brokerage where Ryan met Thomas Buist. Both were approached by Reid Davis, who within a month had moved them to what then was Anchor Commercial, and now is Lee & Associates Charleston. 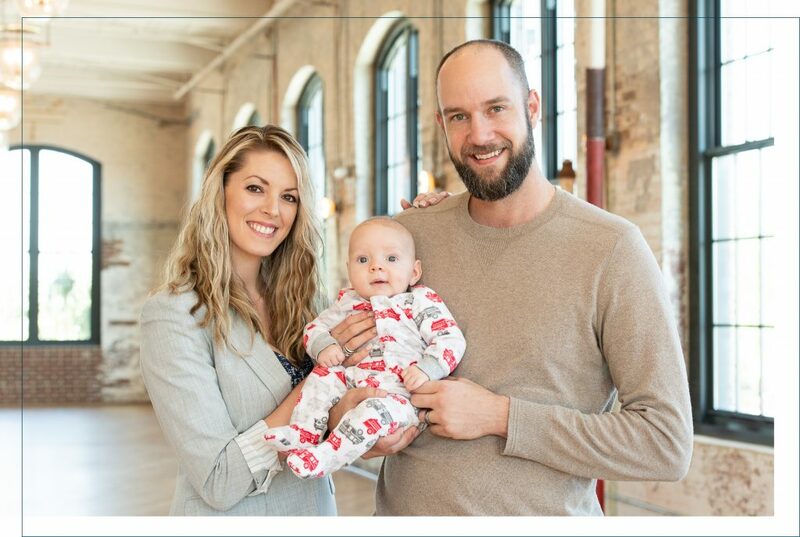 Ryan learned quickly in his brokerage career that he liked industrial commercial real estate, not just because there was always something new but because he felt good about working on projects that were creating jobs for others, helping people and the economy. Since joining Reid and the rest of the Lee Charleston team, Ryan says his work has been fun, but nonstop. He credits Reid, Milton Thomas, and Bob Nuttall, along with his serious drive and work ethic, with the success he’s had in his career and considers the people he works with as family. He knows, because of his childhood, how to respect every member of the team, as they are all spokes that make up the wheel. In 2018, Ryan not only earned his SIOR designation, but was named Principal and had a daughter, Anna Briggs Welch. In addition to working hard, Ryan is a member of the Coastal Conservation Association and a guide at the South Carolina Waterfowl Association. He and Amanda were married in 2016 (although they have known each other for most of their lives, having even dated in middle school!). The family’s two Boykin Spaniels are always making Anna laugh or out in the field with Ryan, hunting, fishing, and helping him retrieve ducks. He sticks to the golden rule: treat others the way you want to be treated, and when he needs inspiration he thinks of his favorite Ralph Waldo Emerson quote: “Do not go where the path may lead, go instead where there is no path and leave a trail”. 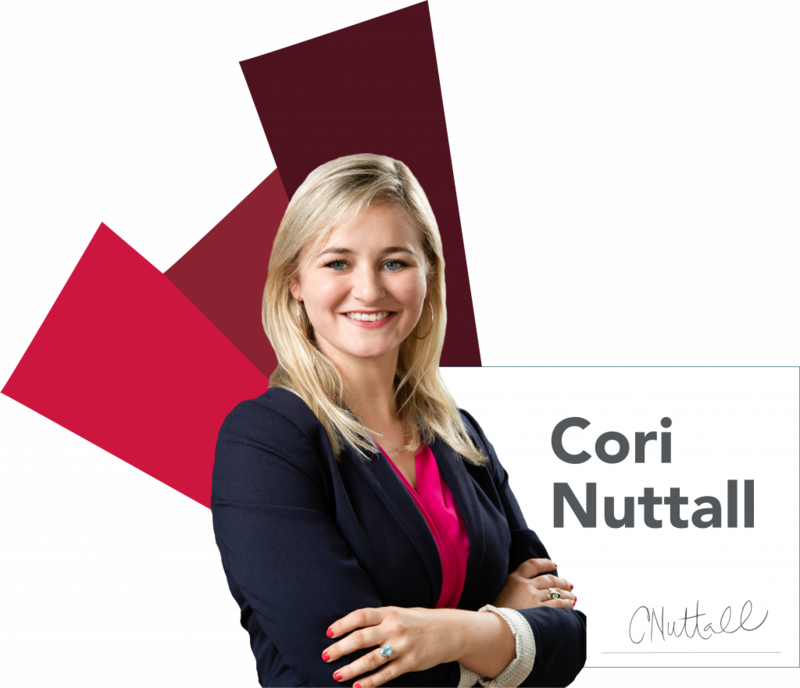 Cori Nuttall is a Charleston native and Carolina girl through and through. Born and raised in the city, she is the oldest of three girls and studied marketing and sales at Clemson University before moving back to begin her career—although it really had begun before college ended if you consider her involvement in extracurriculars, internships, and classwork. Right off the bat, Cori found her passion when she spearheaded a sales team for the Tiger Paw Classic, where she secured sponsorships, managed the project pipeline, and even coordinated event components that led to her group’s success. Despite loving this, she spent her first year back in Charleston working for a public relations agency, specifically with hospitality clients, although she knew in her heart this wasn’t exactly the right path for her. That just so happened to be when things fell into place. 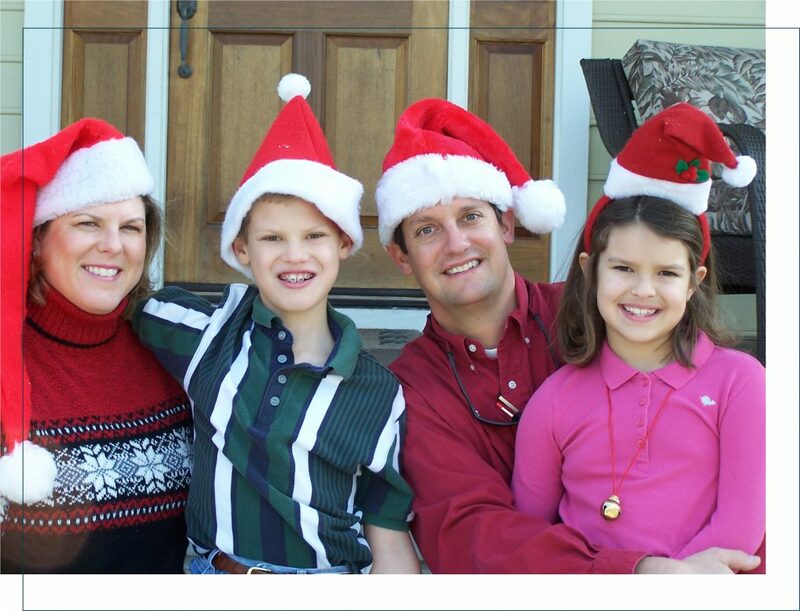 Cori comes from a family that has a strong history in real estate, especially in the Lowcountry market. Her grandfather worked in real estate, and her father, Bob Nuttall, founded the Charleston branch of Lee & Associates with Milton Thomas in 1999. Inspired by this and loving sales, she obtained her real estate license after her PR job, and at the same time a new president arrived at Lee, and with it a new opportunity: to join Dave Howard’s “commercial real estate boot camp”, as she likes to call it. She gave Dave a call, and told him who she was, what she wanted to do, and about her fierce determination. She became the very first member of the Lee & Associates Charleston office to be given this role. The program had Cori working in different roles on a day-to-day basis, all of which has prepared her to take the commercial real estate world by storm. From market research for major projects such as our Industrial Crane Tracker to events, networking, and showings, to working one-on-one with agents around the office who are invested in her success, she found herself busy but excited to feel so motivated about an industry. Something of most importance to Cori about her work right now are the relationships she is building with so many people in the Charleston community. By being a tourist in her own town, her eyes have opened up to areas and people she had never gotten to know growing up. Tenant representation work has been especially important to her—by working so closely with these people, she gets to form a bond with them that in turn makes her work harder, and their passion for their businesses rub off on her, too. This insight also allows Cori to see how the market in the city grows, and how change actually takes place. Although she works hard as the youngest female associate in the office, there are many other things Cori is passionate about and cares for. She has long been involved in the musical theatre scene and was president of her school’s all-female acapella group, Take Note. The group was a big part of her life, and one of her favorite artists to cover has always been Carrie Underwood (Carrie actually retweeted Take Note’s video for a competition, where they did a mash-up of her top hits!). She continues singing for her church choir on the weekend, and finds the experience of standing up in front of people has helped her presence in front of clients and at showings greatly. 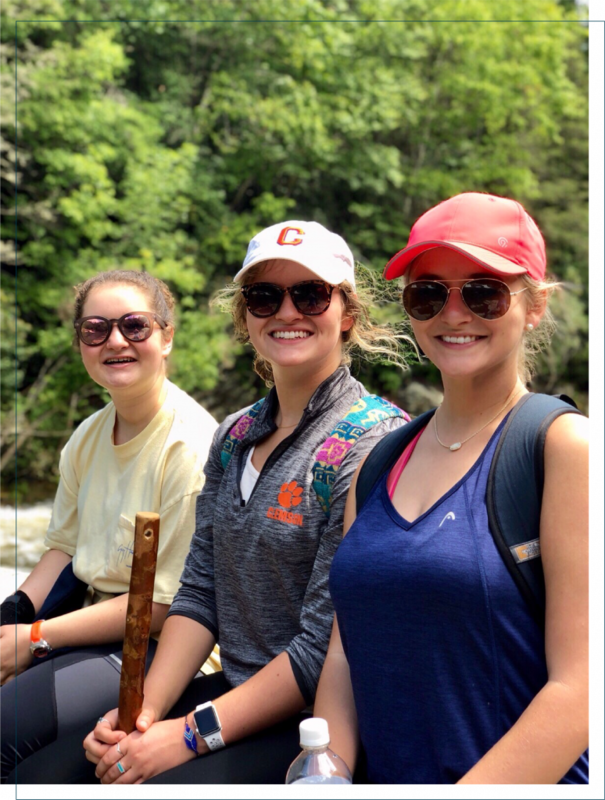 Cori also spends time visiting friends in Greenville and Charlotte, and most of her weekends in the fall she heads back to Clemson to cheer on the Tigers at football games. She also attends all Citadel home football games and works for an alumni group called the Stray Dog Society, where they host big tailgates and collaborate on major events such as harbor cruises and homecoming parties (this is when that experience selling sponsorships comes back into play). On top of all of this, Cori is a member of CREW, the Charleston Young Professionals Network, and recently graduated from the Leadership Discovery Program with the South Carolina Chamber of Commerce. More than anything, Cori tries to abide by what Dave frequently says: Failure is not an option. She strongly believes that if you do what you love, financial and career success will follow, and looks forward to continuing working in commercial real estate and forging bonds with the community here in Charleston and beyond. The first thing Jon Chalfie will tell you about himself is that he is a big sports fan. The oldest of three boys, he was born and raised in Cincinnati, Ohio, where he was a Bengals fan and grew up cheering for the Reds at baseball games each summer. His love of sports drew him to the University of Wisconsin for college, where the Big 10 atmosphere was exciting, and a new state offered him a chance to get away. Jon continued to travel farther from his home state, ending up in San Francisco after he graduated college. It was in California where Jon’s love for live music evolved, particularly the jam music scene and the Grateful Dead. He spent the next several years traveling to concerts and festivals, which gave him the opportunity not to just see his favorite music played live (he estimates he’s seen the Dead play over 70 times!) but to see other cities and national parks across the U.S.
After San Francisco, Jon made the move all the way from the West Coast to the East Coast, stopping in Delaware. There, he started a family and began his career in Property Management. On the side, Jon was still making sure to do things he loved and continued working as a beer vendor at baseball games as he had done in the past (his claim to fame might be his ability to pour three beers into three different cups at one time!). It was a good way to have some fun and balance out the work he was doing at his main, full-time job in Property Management. While he had always known he had wanted to go into real estate, Jon was not sure if his current role was the right option for him and knew for a fact that when he would move into sales, residential real estate was not the direction that inspired him. 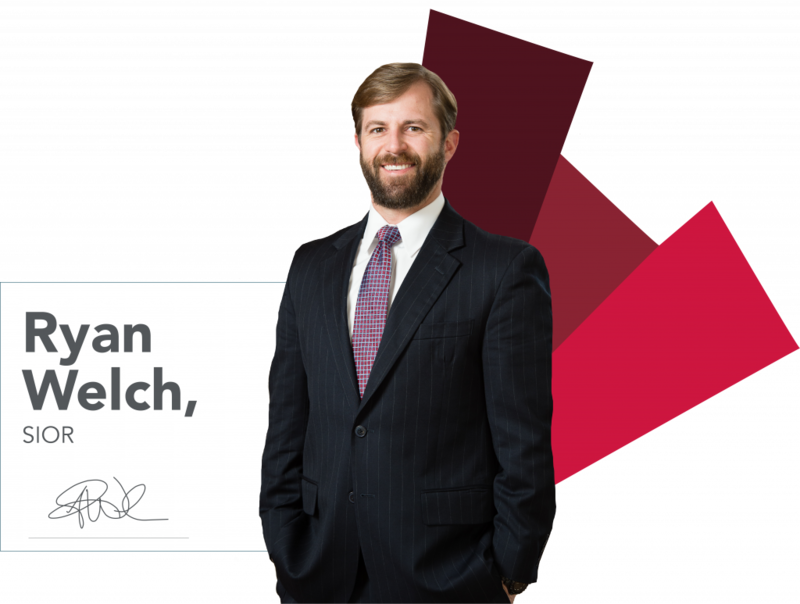 After seven years in Delaware, things took a turn when Jon and his family relocated to Charleston and he was able to start his commercial real estate career. At first, Jon wasn’t sure how much he would like it since Charleston isn’t a “big league” sports town. However, the nightlife, festivals (such as Charleston Wine + Food, and Spoleto), and many outdoor activities he could participate in were enough to fill that void. The city also gave him the chance to finally alter the direction of his career. Jon dove in and was able to start meeting with different brokers and firms about his next move. He met with several who were well-known in the Charleston area—including Bob Nuttall from Lee & Associates—until he settled on The Barkley Fraser Company. It was here where Jon made the decision to specialize in Office Commercial Real Estate. When initially making this choice, he was leaning toward retail, however realized that by specializing in office he could work with many local clients who were professional, like-minded and kept him on his toes. After twelve years with the same firm, Jon sought a change of pace and renewed energy and reconnected with Bob. 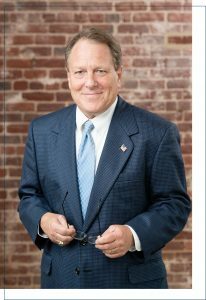 He saw Lee & Associates as not only a platform to succeed, but a place where his work could continue to be recognized in the Charleston community. 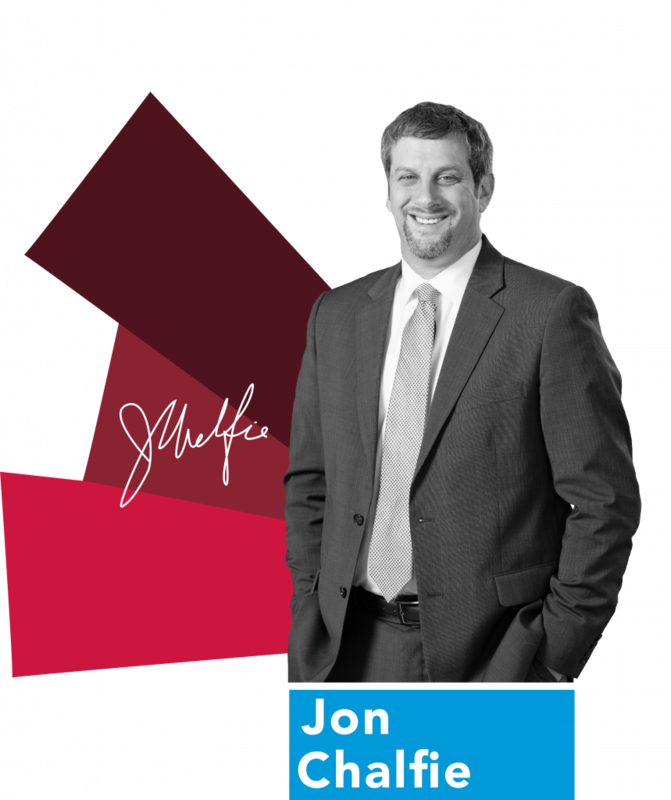 In addition to loving the collaborative environment and energy he has in his work life, Jon enjoys a number of hobbies in the Charleston area. He considers himself a big advocate for public transportation and urban living, and supports movements in the city for expansion of the Bus Rapid Transit system (plans are in place to have buses run from downtown Charleston all the way up to Summerville), and the Lowline, which will be a walking path down the spine of the peninsula where railways used to run. He also became a Paul Harris fellow with the Daniel Island Rotary Club and spent two years as President of the Mount Pleasant Chamber of Commerce. Jon has several ways he stays connected to sports, too. He coached his daughter’s elementary and middle school basketball teams and cheered his son through travel soccer programs and on to two soccer state championships at Wando High School. His son is now a sophomore at the University of Georgia—which has given him a real fighting interest in the SEC—and his daughter is a sophomore on the Wando High School volleyball team. Jon had the good fortune of returning to Europe with his family this past summer and can’t wait to plan where he will travel to next (Greece and Asia are at the top of his list!). Whether it is chatting about the World Cup or planning your next move in real estate, Jon is always open to sitting down with a beer and seeing where the next adventure might lead. Despite growing up thinking he would always return to Cincinnati someday, Jon has made a permanent home here in Charleston and looks forward to the years to come in the Lowcountry and with Lee and Associates, working as a team with some of the best in the business. Mr. Thompson advised John Orr, then Retail Director at Colliers International in Charleston, SC. Orr had been ignoring Elyse Welch’s (formerly Elyse Chubb’s) many eager requests regarding an internship with him at Colliers. John Orr, CCIM had spoken to Elyse’s Real Estate Finance class at the College of Charleston several weeks before, as part of the Carter Real Estate Center, and his presentation struck a chord with Welch. Luckily for us, this earned her a 15-minute opportunity that would prove to be life-changing. Elyse Welch was born in Peachtree City, Georgia, where she played basketball for twelve years before picking up volleyball her sophomore year of high school. The shortest in a rather tall family at six feet, Elyse excelled at sports, and by her junior year of high school was receiving scholarship offers from D1 schools across the United States for volleyball. She wasn’t the only athletic member of the Chubb family—her mother was a high school All-American athlete and played for the University of Tennessee, her father played basketball in college, and her brother, Rob Chubb, played college basketball at Auburn, then professionally in Europe. Despite the College of Charleston’s Kresse Arena being over thirty years old (she now has a piece of the original flooring at her desk, signed by her coach), the city’s beaches, charm of downtown, and historically-winning program drew Elyse in and she signed on to play for the College over many other larger schools. There is a legacy of excellence in the Chubb family. Volleyball was a platform for Elyse to continue to develop her winning drive. Over her four-year collegiate volleyball career, she became one of the most decorated volleyball athletes in school history: Freshman of the Year, recurring All-First Team Selection, and currently holds a dozen records for the College. In addition to a Hall of Fame Indoor Volleyball career, Elyse took the College’s inaugural Beach Volleyball team to the National Final Four, where she competed against Summer Ross, a current top ten Beach Volleyball player in the world. While volleyball was fun and provided the perfect outlet for Elyse’s high energy and competitive spirit, it was not going to be a viable long-term career option. As her senior year came closer to ending, she began to explore what she would do with her International Business major and Spanish minor. She began to reflect on the careers of her father’s friends in real estate. She admired the lifestyles and the opportunities their jobs afforded them, so Elyse began exploring commercial real estate classes with the Carter School of Real Estate as electives, where she heard John Orr, CCIM, speak. What struck her most about John’s lecture was his emphasis on the value of a lease—it is not just about rent rate. Elyse knew she had to work for him. She sent him follow up after follow up about her interest until, after getting no reply, she finally reached out to her dad for some advice. At the Charlotte ICSC in March of that year, John (who admits he had no idea who she was when her name was brought up by her father’s friend) agreed to chat with Elyse—if she could call him between 7:45 am and 8:00 am the next morning, during his drive between dropping his son off at school and work. Excited to have her chance, Elyse called John the next morning from her living room, still in her pajamas, and asked for an interview. Surprisingly, he said yes, but then she got her first test: “meet me in fifteen minutes at Glazed Donuts on King Street.” She agreed, and, minutes later, found herself sprinting down King Street (“it was the fastest I have ever gotten ready in my life”) in high heels to meet him at Glazed. John made a point in those first twenty-or-so minutes of the conversation attempting to completely dissuade Elyse from working in commercial real estate. He emphasized how old-school many of the people were to how little money she would be making to how hard it would be, and suggested that she should just take her salary job offer that was already on the table. He refilled his coffee and left her to ponder this, but when he came back she had her answer. 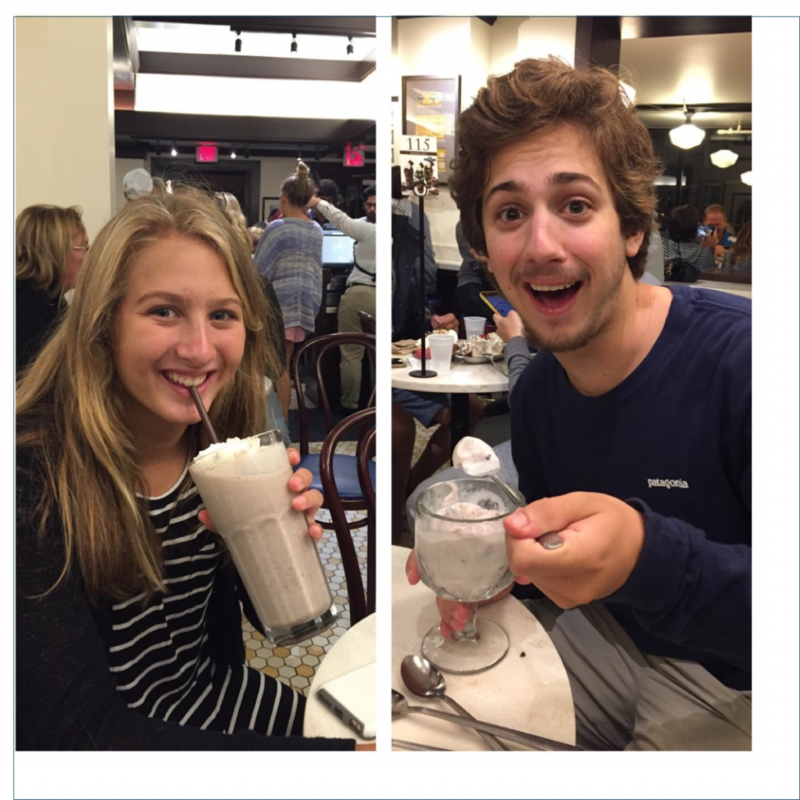 Impressed with her determination—and convinced he did not want to find out what she would inevitably accomplish for someone else —John offered Elyse an internship on the spot on his team at Colliers International. During her unpaid internship, Elyse learned about the commercial real estate world, and caught on very quickly that you must have a mentor completely committed to your success. Years of teamwork and coachability proved to be the best preparation for this career. Don’t be shy, always ask questions. Provide value. Find a mentor and absorb everything they do, how they do it, what they say and most importantly how they say it—that person does it that way for a reason, benefit from their experience. Most importantly in that first few years, you can’t know everything—but you can know everyone. Soon, the Charleston Elyse knew expanded from a 7-block college bubble into the sprawling Tri-County area loved by so many. She hustled and worked 12-hour days to become an expert on the market, in addition to traveling up and down the East Coast competing in various pro-amateur volleyball tournaments on the weekends just to pay her rent. Her fate changed with a cold calling contest. The non-principal agents in the office were tasked with canvassing, knocking on doors of businesses, in a designated area of Charleston to collect as many business cards possible, writing two facts they learned from the people they met at each location on the back to gather market knowledge to generate leads. The prize was $1,000 cash—something Elyse needed very much, and this seemed almost out of reach when she received her assigned area: North Charleston. Always the competitor and comfortable performing under pressure, especially when the cards are stacked against her, Elyse spent the evening planning her route and schedule. She even timed the route and everything down to the snack she packed for the 10 am to 2 pm window for the contest hours. The next day, she hit the ground running, and arrived back at the office with 90-something cards in her bag. The only other person even close to her number was another junior broker in the office, who was feeling confident with his list of 150 notes, and offered to take her for a coffee while the cards were officially counted by the principals—a very kind gesture from her competition and the clear winner of the contest. The two of them were in for an unexpected result. Even though he had collected 150 notes, most were ruled incomplete or thrown out because they did not qualify. Elyse had won! A shining moment in her very first week of her new career following the end of her 90-day internship. Many at the company were shocked she won, but what happened next really validated her commitment to Retail Commercial Real Estate. She used the prize, not to pay rent, gas or food (that she desperately needed), but instead to purchase her first CCIM class. She was committed—and now everyone knew! By having John Orr, CCIM as a mentor and Senior on the Carolina Retail Experts, Elyse understands the importance of earning your education and the value of having the CCIM designation. Only three and a half short years after that Cold Calling contest, Elyse graduated to a leadership role on the deal team of several Shopping Center sales, new developments, redevelopments and full project lease-ups. This experience built her Commercial Real Estate portfolio of professional expertise required to earn her CCIM designation. At the time, Elyse was one of the youngest females to ever earn the designation. Since earning the designation Elyse and the Carolina Retail Experts have expanded their territory and grown into the most dominant retail services provider in the Carolinas, consistently relied on for expert advice by property owners, retailers and the media. Since joining Lee & Associates, the Carolina Retail Experts added a new Expert, Lindsey Halter, to further increase their ability to serve clients. In addition to a Who’s Who of property owner clients, the Experts are a proven leading Tenant Services Provider in the Carolinas representing clients including Academy Sports, Jim N Nicks Bar-b-que, First Watch Daytime Café, Books-a-Million, and American Family Care among others. On a personal note, Elyse married Justin Welch in 2015. The pair met at a beach volleyball tournament at the Windjammer in 2012. Justin, who at 6’8” met her high standards (“need to be able to wear heels with him!”). Now, with their young son, Jackson, and dog, Calbert, they live on James Island. Elyse remains active playing beach volleyball, beating her husband in tennis, and enjoying the great city of Charleston. Celebrating her first full year at Lee & Associates, Elyse serves on the board for several professional and collegiate advisory boards including Commercial Real Estate Women (CREW), South Carolina Commercial MLS, Commercial Market Forecast, as well as the Cougar Club at the College of Charleston, where they work to continue the important work of funding scholarships for student athletes. Retail came naturally to Elyse, because she is passionate about understanding the psychographics of the target customer. A true understanding of the customer empowers Elyse and the Retail Services Group to create the optimal Retail Experience, generating higher sales for Tenants. The foundation of knowledge and experience with a sprinkle of ‘fairy dust’ leads to the most successful projects for Landlords and Tenants. 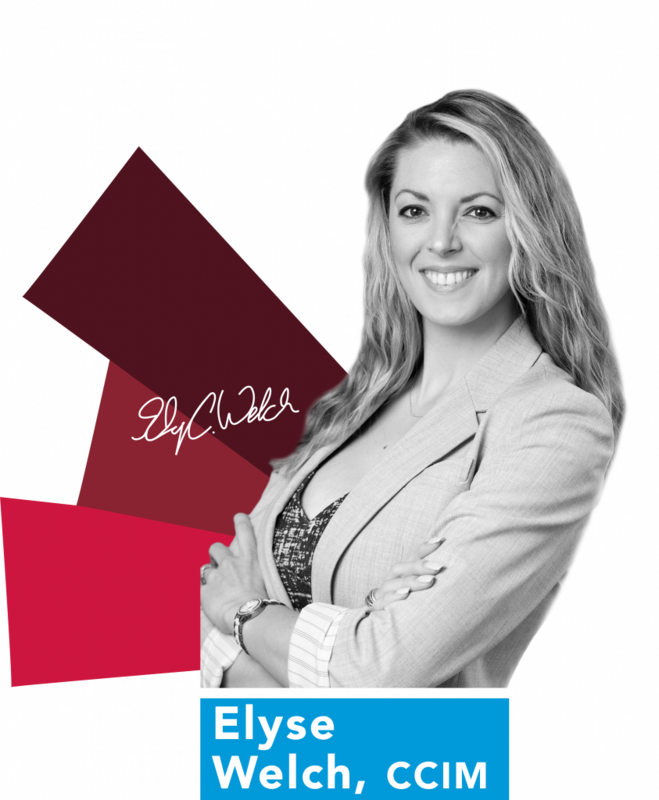 Elyse’s technical aptitude for the science behind retail combined with the passion and the artistic eye consistently leads to maximizing property values through strategic leasing and executing market strategies for best-in-class retails, leading to top performing sites. Elyse is the first call for these Landlords and Tenants. So, if you are serious, shouldn’t she be your first call also? He doesn’t own a gun, a horse, or a boat—so who let this New England native into Charleston? Rumor has it he has lots of friends on the golf course and those friends have the boats, guns and horses. Pete Harper was born in St. Louis, Missouri, the youngest in a family of four. He grew up in Connecticut until he headed to college at the University of Vermont—mainly drawn to the school for civil engineering studies and the ability to hit the ski slopes after class. After graduating in 1988, Pete moved to Boston to take part in the “The Big Dig”, a massive infrastructure project that started at $5 billion but crept its way up to $18 billion. Pete was trying to help save money, not spend it for the City of Boston. His part in this behemoth of a project included working for a general contractor as a civil engineer turning a transit and providing line and grade for large concrete structures. During his time on “The Big Dig”, he became acquainted with some large commercial developers and realized that they were the ones being the most creative and making most of the money. Then came 1991. The development world was battling a recession, making jobs scarce and taking the fun and the money out of his career. Pete shifted back to education and decided to obtain his MBA. His decision to attend Vanderbilt University may or may not have been based on a run-in with Bob Dylan (but Pete only discloses those details in person!) while visiting Nashville. He also made the life-changing decision to ask his girlfriend to marry him and follow him on the next step of his career and move to Nashville. These were the two biggest decisions that would define the direction of his future. 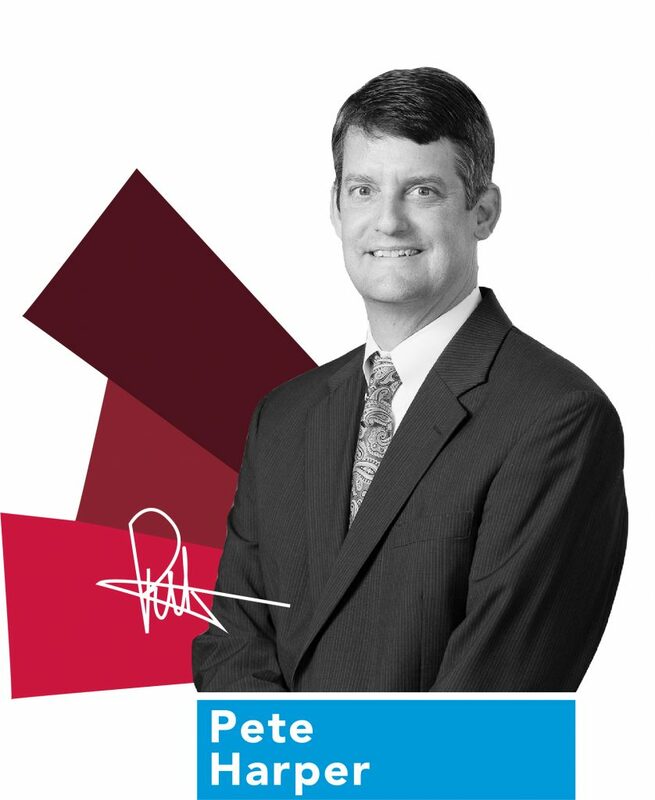 Pete interned with Trammell Crow during business school, where his diligence and dedication paid off—he was the only intern to ever survive multiple months of cold calling in the face of constant door slams from the tenants. His perseverance resulted in a full-time job offer with the company before his second year of graduate school. He would go on to spend fifteen years in retail, five of which were with Trammell Crow. In late 1999, Pete then went to work for a power center developer in Atlanta, where he leased small shop space in large shopping centers all around the southeast. He left Atlanta in 2003 for Charleston, having leased more than 350,000 SF of shop space in five years. 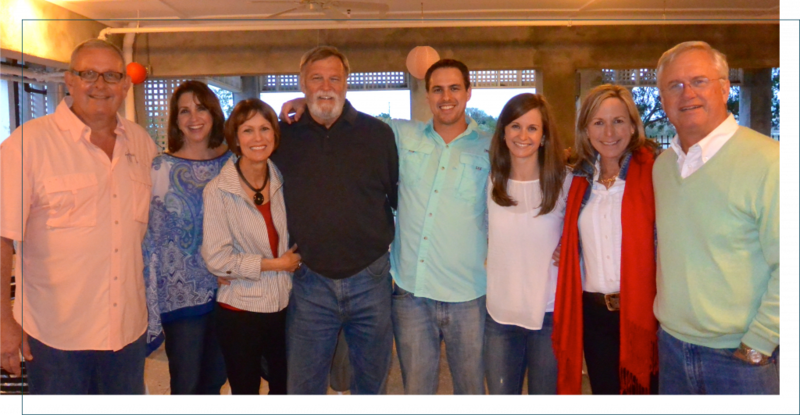 The Lowcountry was a huge draw to Pete and his family. He came to work for the James Doran Company as their COO, where he was responsible for growing the company and managing the debt and equity on $250 million worth of developments. He spent his time working on town center projects around the southeast until the economy decided it had other plans in 2009. That economic downturn led Pete in a more stable direction of working to develop 600 units of affordable housing in South Carolina and Virginia. Miles Barkley says he has the distinction — good or bad — of being part of a dying breed. He grew up in downtown Charleston, attended Porter Gaud School and enjoyed summers on Sullivan’s Island, that is until leaving for Up With People to travel the world. After a year on the road, he started a wonderful four-year experience at Centre College in Danville, Ky., realizing that there was more to life than Charleston, SC but also never abandoning the desire to come back to live and to work in the lowcountry. His father, Rufus Barkley, a Charleston businessman and owner of The Cameron & Barkley Co., a local and family owned business at the time until 1975 when it became employee owned, urged his children to “blaze their own trail.” Between that edict and the nudging of his mother Nella, who as a career and management coach, knew how to instill confidence, Miles took off. With a love of music and writing, he came back home in 1982 and spent his early days as a radio DJ at WKTM 102.5 until he took up his dad’s advice and that of his friend Hal Ravenel to play music on the side and at age 25 go to work in the real estate business full time. It proved to be a good decision at just the right time in Charleston’s ascent. After all, he had grown up with real estate as a discussion topic around the dinner table because it was a parallel interest of his parents. He started his career with Frank Brumley at the Brumley Company. You may recognize him as part owner of the Barkley Fraser Real Estate Company, where he and his partner blazed a 20-year trail. Perhaps you know him as one of the original “40 under 40” business owners, or as part owner and co-founder of the Charleston Battery Professional Soccer Team from 1989 until its sale in 2016, or you had the fun of attending one of his “Barkley Bash” Labor Day Weekend parties for 25 years—proving music, friends and jello can make an evening! 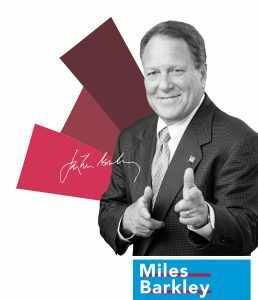 Whatever it’s been, since 1984, Miles has invested 34 years and has committed his professional and personal life to making friends, helping clients, and creating value in the lowcountry by promoting sensible and profitable growth. As a native Charlestonian, Miles has seen first-hand the changes and history that make Charleston special. From a local community strongly influenced by a military presence, history, and Hurricane Hugo in 1989, to a favorable business environment and location for people to migrate southward, Charleston and the surrounding communities have become an international tourist and business destination, an international arts community, and a destination for the culinary, travel, leisure world. “I have grown along with Charleston, sharing in its prosperity,” Miles says. Being in the business for a while has provided Miles the experience to know that what goes up, comes down, and eventually goes back up again. In the severe downturn of 2009, Miles redirected his focus from brokerage to asset and partnership management where he spent his time on helping his clients to manage their real estate strategically, creating value in the process. In 2012, Miles could see that Charleston was remerging and it was time for him to do the same. Having oriented his previous full service firm locally, he saw early on the trend of aligning with a larger real estate market to sell Charleston on a larger scale. This enabled Miles to do what he does best: use his talents and knowledge of the community combined with his experience as an owner, broker, manager and developer of commercial and investment properties to build relationships into partnerships as a part of a longer term strategy. This led to his partnership with Lee & Associates Charleston (formerly Anchor Commercial Real Estate) in 2012. Being familiar with the local owners of this firm, he had a close relationship with both Bob Nuttall Jr. and with his late father, having served with Bob Sr. on the St. Philip’s Church vestry, where Miles served twice and once as Senior Warden. This made joining up with Bob Jr., Milton Thomas and Reid Davis a natural business progression. They merged their philosophy as well as business: “People First, Properties Second”, as well as a relational approach that has proven to be a successful business model in both good times and not so good times. With a strong spiritual and family foundation with his wife Neyse and their two sons Miles Jr. (25) and James (22), Miles appreciates the never-ending quest for balance of the four F’s: faith, family friends and finances. Miles combines the number one rule on his father’s, “Integrity, first, last and always”, with his own “work hard and play hard, and treat people as you want them to treat you” to create a central philosophy guiding the way he lives his life. Miles is building on his experiences of the past and focusing forward at Lee & Associates Charleston. We know him as a successful business man, a fan of concerts and a lover of outdoor activities. He can be often found on his deck at home with his wife of 26 years watching Molasses Creek flow by, thinking about the wild life and the next real estate opportunity. We like it when people put Miles to work, putting his experience to work for you. Rest assured that Miles and his team at Lee & Associates have your best interest at heart and will help you come up with the right real estate strategy for what you want to accomplish. Commercial real estate leases are an agreement between the tenant and a landlord. However, it is not always that simple, as there are many different types of leases available to interested tenants. Taxes, insurance, and utilities are all variable factors in a rental agreement and will be determined by the type of lease you sign up for. Full service leases are the most common type of commercial rental agreements. These leases are most beneficial for the tenant, since the landlord is responsible for paying the utilities, property taxes, repairs, insurance, and even janitorial services. Since the landlord pays for the building’s maintenance, businesses are able to better anticipate the monthly costs associated with leasing the property. As compared to a full service lease, the annual rent for net leases is much lower. With a net lease, the tenant is responsible for the property’s taxes, insurance, and common area maintenance (CAM) fees. Net leases can fall into three categories: single, double, and triple. Which leases are available to you will largely depend on your ability to negotiate with landlords and what type of property you are renting. In a single net lease, the tenant pays the base rent plus a pro-rata share of the building’s property taxes. A pro-rata share is determined by the portion of the building the tenant is occupying. The landlord will cover the building’s maintenance, but the tenant has to pay for the utilities and janitorial services. This type of lease is the most economical for tenants. Double net leases are the middle ground between the tenant-friendly single net and the landlord-friendly triple net. With this rental agreement, the tenant pays base rent plus a pro-rata share of the building’s property taxes and property insurance. The tenant must also pay for the utilities and janitorial services, but the CAM fees and any structural repairs are covered by the landlord. Landlords prefer triple net leases since the tenant must pay the base rent along with all property taxes, property insurance, and CAM. The tenant is also responsible for the utilities and janitorial services. Although the cost of rent may be lower, the added expenses of taxes, insurance, and maintenance should be carefully considered. Most retail and restaurant leases are triple net. Modified gross leases are a flexible alternative to net leases. In this agreement, the tenant is responsible for paying the base rent, utilities, and janitorial services. However, the tenant and landlord will negotiate whether property taxes, property insurance, or CAM fees are included in the base rental rate. The advantage of a modified gross lease is that there are no hidden fees or unplanned expenses. If taxes, insurance, or CAM expenses increase, then the tenant’s rent won’t go up since these fees aren’t bundled with the base rent. When you are investigating a piece of commercial real estate, don’t get carried away by the base rent. While the base rent is important, many other fees including taxes, insurance, utilities, and maintenance can dramatically increase or decrease the overall cost of the property. A lease with a higher base rent may be worth the price tag if additional property expenses are covered by the landlord. If you are considering renting a piece of property, reading the terms of the lease and negotiating with the landlord can help you afford a beautiful office space. Relocating your office space can be an exciting time, accommodating a growing business and expanding operation. Unfortunately, it can also be a stressful time when mistakes are made. Mistakes made during relocation may lead to extra costs, operational downtime, and more. With proper planning and preparation, your business can avoid making the mistakes that will cost your organization. Avoid these common relocation mistakes to ensure your business’ move goes as smoothly as possible. It may seem obvious, but planning ahead is necessary for a smooth office move. You should begin planning for a move while you’re still looking for a new space. Check office dimensions, make a detailed checklist, consider the vendors you will need to make the transition, and more. Planning ahead will help avoid disorganization and last minute headaches. Timing is also an important part of the planning process. Delays will cost your operation money and may affect operations. From late starts to delayed deliveries, there are many time delays that can occur. Be sure to plan ahead, and prepare for potential delays. Having enough space is about more than square footage. You may look at a space that has more than enough square footage, but the layout of the space can affect how your furniture, computers, employees, and more fit. When it comes to how much space you need, the recommended square footage varies across industries and changes often. A broker can help you determine the right amount of space for your operation. The right space will accommodate the current size of your business, and also allow room for growth. That way, you will not have to relocate every time your business grows or expands. Most businesses today, if not all, rely heavily on computers and IT equipment for their day to day operations. That’s why properly moving this equipment and your computer network is so important. Moving and installing computers and other electronics requires a lot of planning and the help of professionals, either from your organization’s IT team or outside professionals. Problems with your electronic equipment can cause major problems for your business’ operation, as can lost data. Make sure your organization’s data is backed up and safely stored. The best way to smoothly relocate your office is to hire professionals every step of the way, from finding a space to moving IT equipment. Not only can professionals take the stress of relocation and finding a space off your hands, they also have the industry expertise and connections to secure the best deal. The above are just a few of the mistakes that often come with a big move. And while relocating your office space is no easy feat, it doesn’t have to be a frustrating process. With proper planning and professional help, moving your office can be the best thing for your expanding business.